Add a sturdy fabric backdrop to any portable stage, head table riser or audience seating riser to give your performance area a finished appearance. 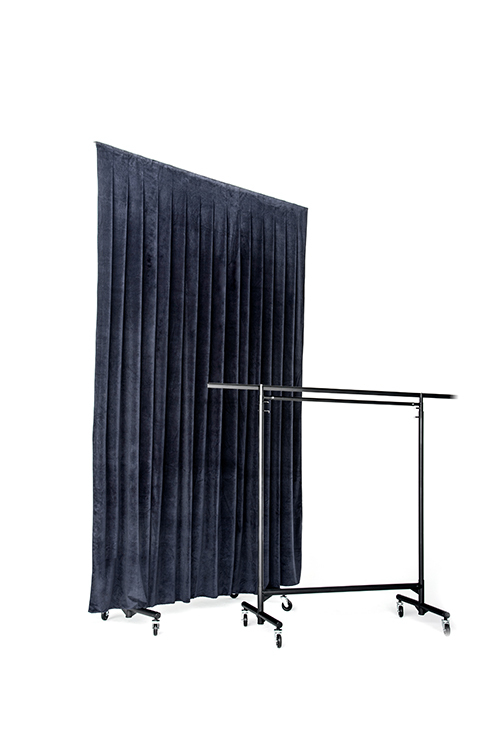 Our portable staging backdrop frame is available in two sizes 6′ or 8′ wide. The accompanying drapery comes in four sizes. 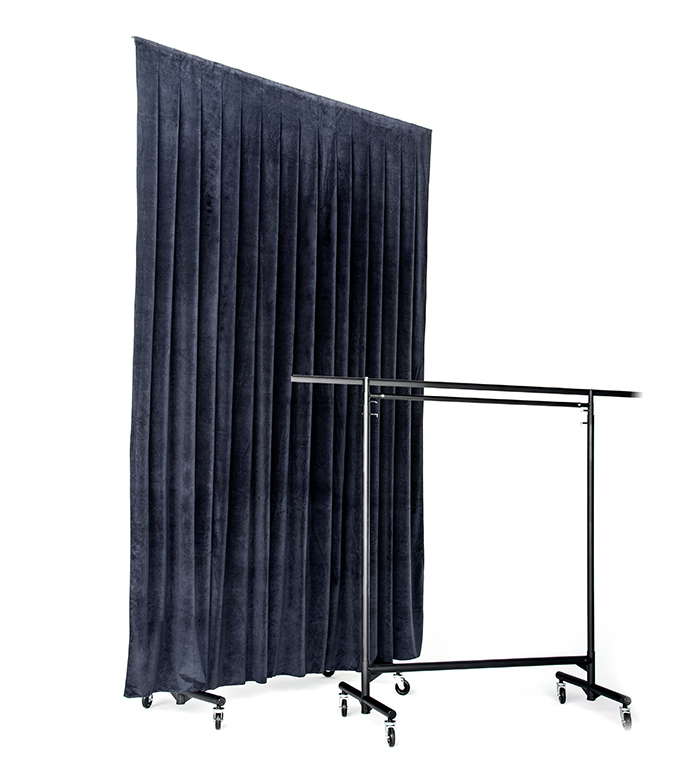 Mounted on casters, our portable backdrop can be rolled quickly into place behind your portable stage, head table riser or audience riser. The frame telescopes from 10′ to 12′ high for easy setup and compact storage. 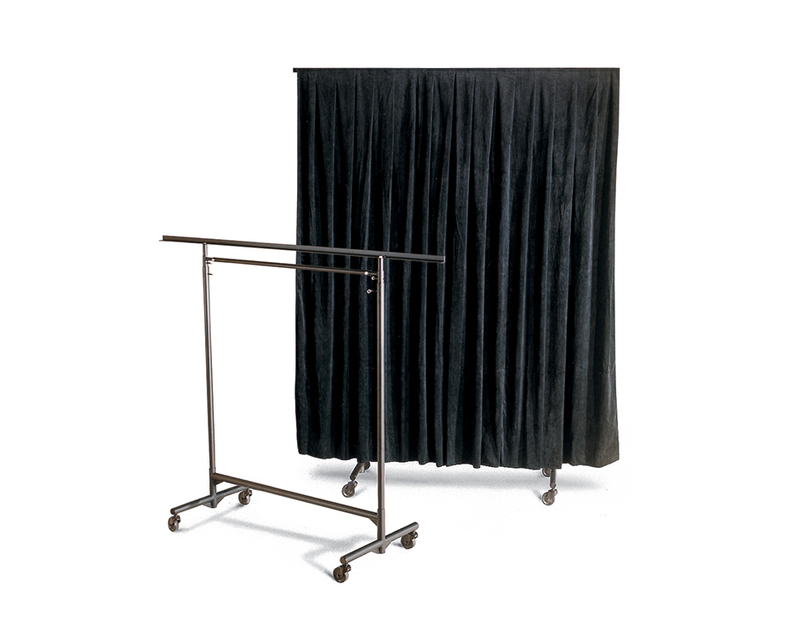 A sturdy steel frame supports our flame-retardant, black velour drapery, available in four sizes. Click here to see all fabric color options.